Good news for Razer fans. If you’re looking at the newly released Razer Phone 2, the company is running a deal for $100 off for the rest of today which brings the price down to $699. As a reminder, the phone is indeed compatible with both GSM and Verizon’s LTE networks in the US. IF you’re looking for a deeper discount, the original Razer Phone is also available for a discount of $300, which brings the price down to $399. If you are looking to buy this phone, the discount will only last today, Wednesday in the US. Both phones have IGZO 120Hz LCD displays, which really makes it one of the best displays for playing games and the general UI animations are almost unreal. You have to see it in person to appreciate the refresh rate of this display. However, if you’re choosing between the two, we’d go for the Razer Phone 2. Many of the complaints from the first phone were addressed in the latest Phone. The Razer Phone 2 also has the Chroma-enabled Razer logo on the back, improved camera setup, better battery life than before. 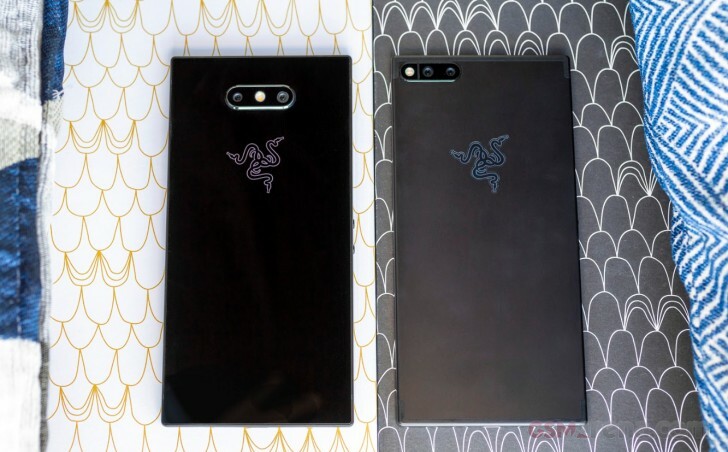 Speaking of battery life, the Razer Phone 2’s glass back allowed Razer to put a fast-wireless charging coil as well, compatible with Qi or Razer’s own Chroma-enabled wireless charger.